How Will Mobile Technology Impact the Future of Healthcare? Does this seem like a far-fetched, futuristic conversation between a patient and doctor? Believe it or not, that conversation could happen today. Experts say “smart medicine,” or the effect mobile technology is having on the medical field, will fundamentally alter the nature of healthcare. When patients can email their electrocardiogram to a cardiologist with a subject line of, “I’m in atrial fibrillation – what now?” it’s clear that changes are around the corner. Where is Mobile Technology Headed in Healthcare? If patients’ smart devices can analyze blood work and take x-rays, hospitals and clinics might soon find themselves overbuilt and overstaffed. In other words, how many fewer pediatricians, nurses and office personnel would be needed if mothers could peer into their child’s ear with a specialized smart phone attachment and diagnose if that pesky ear ache was actually an infection? Could the United States healthcare system contract in this scenario? A decreased need for healthcare facilities “would remove pressure from overloaded hospitals and clinics,” according to a report by The Economist’s Intelligence Unit. If patients can monitor vital signs using a smart phone or watch, routine visits to the doctor might become unnecessary, potentially reducing the need for physicians. “Hospitals might be needed only for the acutely ill and for operations or emergencies or even, as Scripps’s Dr. [Eric J.] Topol suggests, be ‘on their way out over time,’” the report says. These changes could also affect how people go about living their lives. Once patients start sharing their health data, the power of cloud computing and connected devices could warn patients of high pollen or pollution levels, for example, and suggest that they stay inside until the danger has passed. Moreover, cost transparency could become ubiquitous in a mobile-centric health care future. Apps that provide cost transparency “already exist and are quickly being expanded to cover lab tests, scans, procedures, hospitals and doctor visits,” Topol says in the Wall Street Journal. As we’ve seen, mobile technology has already changed the nature of the doctor-patient relationship. With the convenience and empowerment that mobile health technology promises going forward, healthcare providers might find themselves in a new role, says Topol. This insight begs an important question: is it time to for healthcare providers to panic? Hardly – healthcare spending actually jumped 5.5 percent in 2014 after several years of less than 4 percent growth and is expected to maintain that growth rate well into the 2020s. Put simply, it’s not an industry in decline. Still, experts predict that “mobile health can slash spending on healthcare in the US and other developed countries,” according to the EIU report. “Wherever there is a mobile signal, there is the capability for delivering better healthcare,” Topol says in the EIU report. Once patient privacy concerns have been addressed – and additional uses for connected health have been approved by the Food and Drug Administration – smart health could experience exponential growth. Technology is moving faster than you can blink so staying up-to-date on the most recent advancements in technology and maintaining relevancy in minds of the ever-evolving patient is not an option. Healthcare employers and providers with their fingers on the pulse of these changes will be ready. MedSource Consultants is ready. 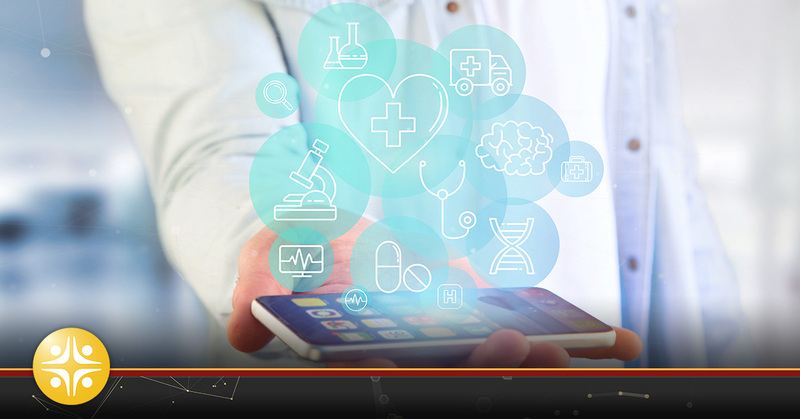 We take pride in staying abreast of emerging technologies in the health care field. Whether you’re an employer looking to hire technically savvy physicians or advanced practice professionals or a medical professional seeking an opportunity that is on the forefront of innovation, we are there to make the best match. Discover what working with a leader in the healthcare recruiting field can do for you by contacting one of our recruiting specialists today.